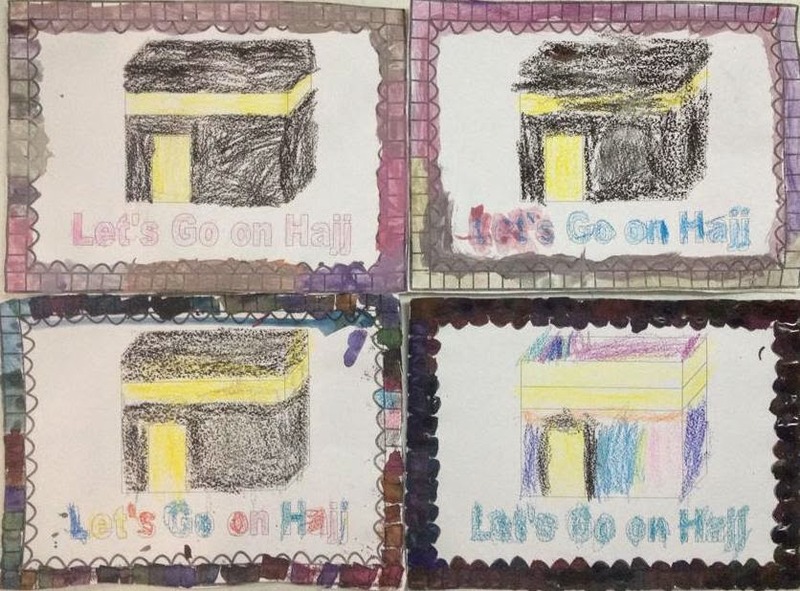 It's that special time of year again when children are learning about hajj. 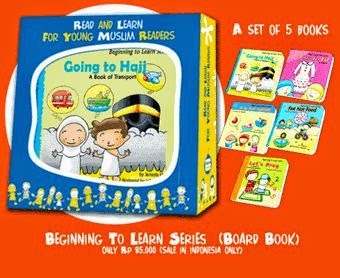 Here is a very simple colouring pack focusing on the transportation that people use to go on hajj. The perfect book to accompany this is the book I wrote 'Going to Hajj: A Book of Transport' number 4 in a series. The people on the bus say, 'Labayk Allah, Labayk Allah, Labayk Allah." The people on the bus say, 'Labayk Allah." On their way to hajj. The daddies on the bus say, 'Labayk Allah, Labayk Allah, Labayk Allah." The daddies on the bus say, 'Labayk Allah." The mummies on the bus say, 'Labayk Allah, Labayk Allah, Labayk Allah." The mummies on the bus say, 'Labayk Allah." 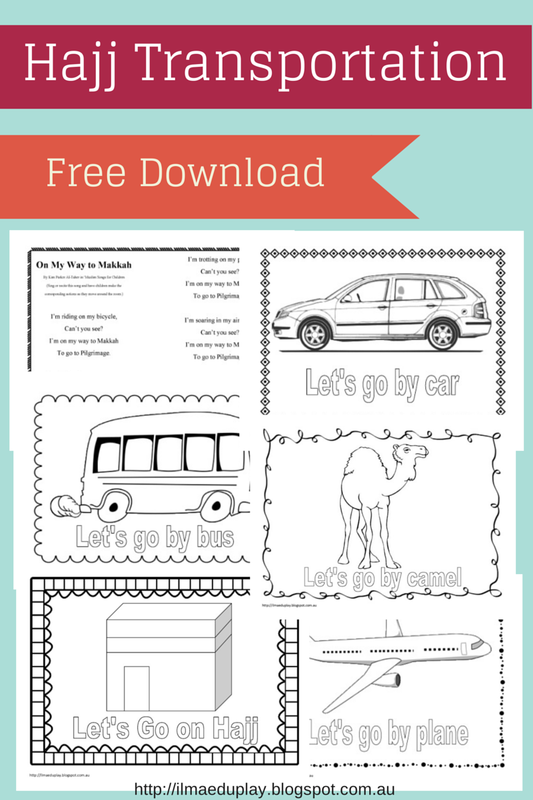 There is also a song/rhyme in the pack which I sing/recite and the children do the actions for the corresponding transports. 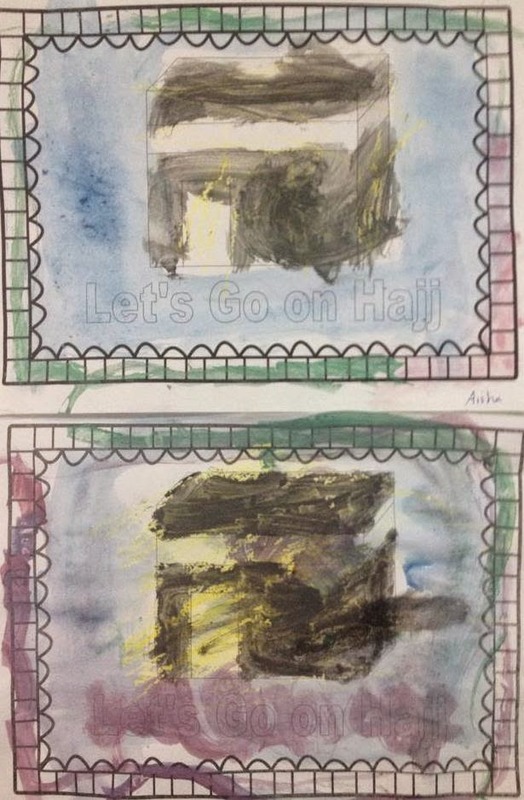 Instead of colouring in all the pictures, we used water colour to paint some. You could actually use mosaics (paper or foam squares) for this border if you have time for the children to glue each piece. For the plane, prek made a crayon resist. 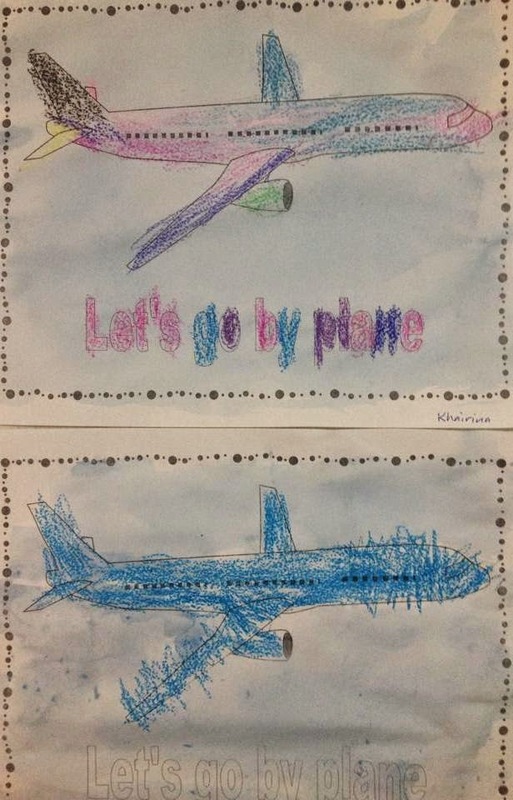 First they coloured the plane using crayon. Then I gave them blue paint diluted with water and a foam paintbrush to 'wash' over the picture. These are just some ideas. Let me know how you have used this pack. 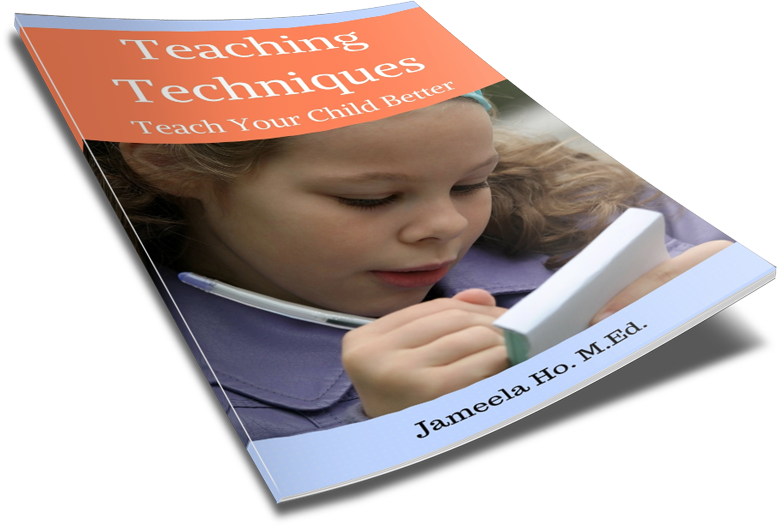 Here's the link again to the download just in case you've missed it.